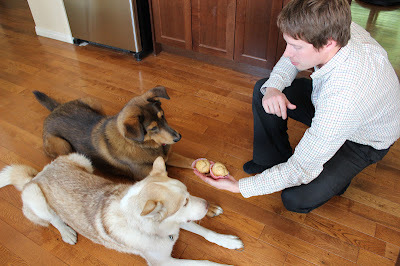 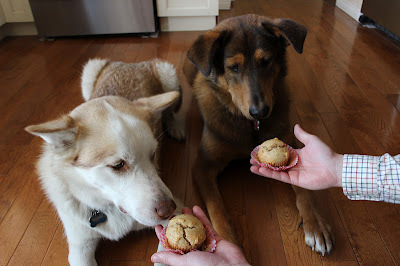 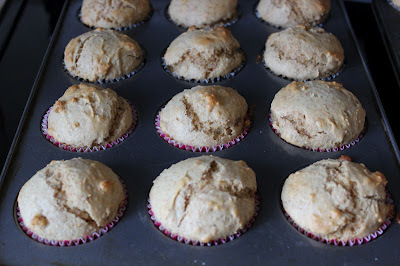 Naked Cupcakes: Peanut Butter Honey 'Pup'cakes! Here is a fun treat for your favourite four-legged friend, a 'pup'cake! 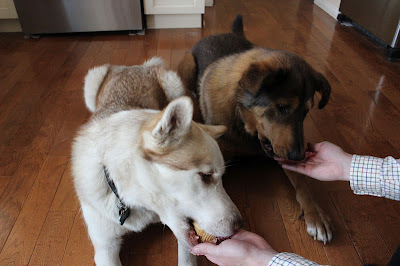 My dogs weren't sure if we were just teasing them at first, but as soon as Chloe got a lick in it was all over! 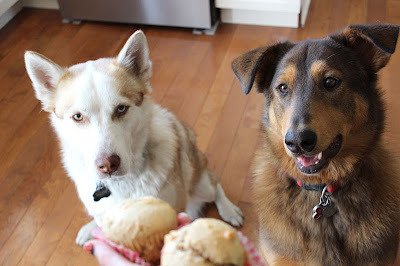 You can also make these as mini's if your furry best friend isn't quite as large as our beasts, or if you want to give them as gifts to your friend's pups. This recipe is from Sprinklebakes and makes 1 dozen regular (or just over 2 dozen mini) 'pup'cakes.